C-Echo II is a modern wooden vessel, totally rebuilt in 2012. This yacht offers a diving trip to Egypt. C-Echo II can offer accommodation to 23 persons. She has 11 twin rooms on the lower deck that can be shares, 1 double cabin on the upper deck and a suite. All C-Echo staterooms equipped with private showers and air conditioning, mini bars and TVs. Spacious lounge area of C-Echo II features soft comfortable sofas and entertainment facilities. Here boat’s passengers can spend time after diving, watch a movie on DVD. Also, there is a separate dining area. Meals are served three times a day and hot beverages available throughout the day. Another comfy area to relax in between dives is a boat sun deck. There you can enjoy the view of the shaded part or get some sun on the open-air part. Dive deck of C-Echo II is large, has comfortable benches to prepare for the dive. Each diver would have a personal storage box for the gear. Boat equipped with two compressors and a nitrox system. Safety is one of the highest priorities of C-Echo II crew team. The boat has all the necessary equipment like emergency rafts, life vests, first aid kit etc. 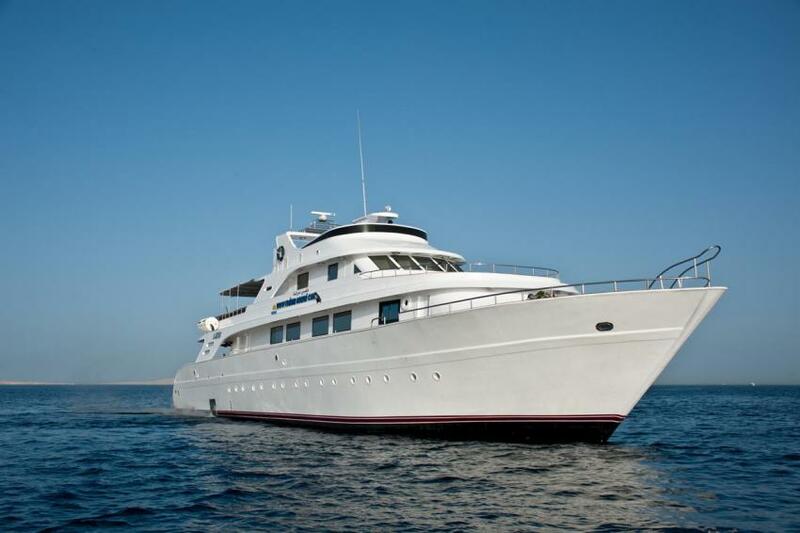 C-Echo II itineraries include all the best of Red Sea. Divers will have a chance to discover famous wrecks, like Thistlegorm, Abu Nuhas ship cemetery. Dive between trucks, guns, and motorcycles that still stand on the board of Thistlegorm, explore 5 sunken ships that Abu Nuhas consist with. There is also an opportunity to dive in Marine Parks of Egypt. Brother Islands is one of the most recognized destinations of the Red Sea. There is a big number of colorful coral that attracts divers from all over the world. Plenty of fish lives here, some pelagics can be spotted. Brother Islands also can offer diving on two wrecks Aida and Numidia. South of the Red Sea is also can be a part of a trip. Here you can dive on St. Johns reefs with hammerheads, that often guest of this destination. Egypt attracts divers not only with great coral reefs and wrecks. Diving here is possible all year round. Best time to visit Red Sea dive sites is in spring and Autumn.